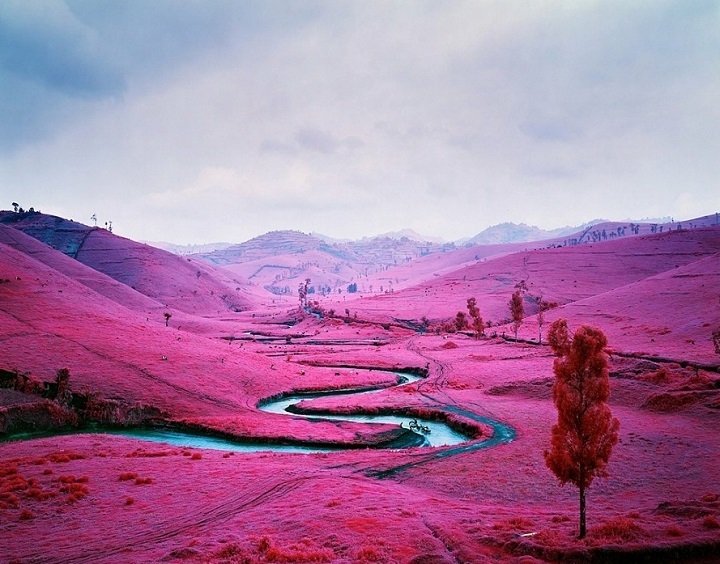 Richard Mosse is a photographer born in 1980 in Dublin, Ireland. 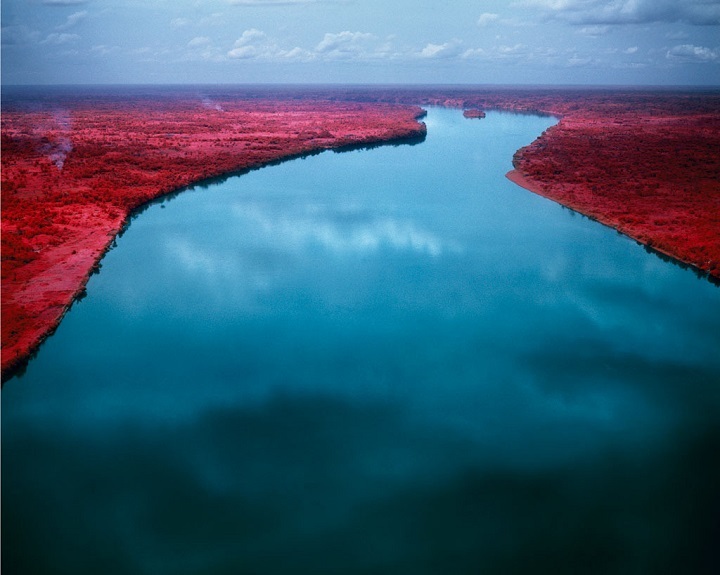 He received Masters Degrees from Yale, Goldsmiths and the London Consortium, but started out with a first class BA in English Literature from King’s College London. 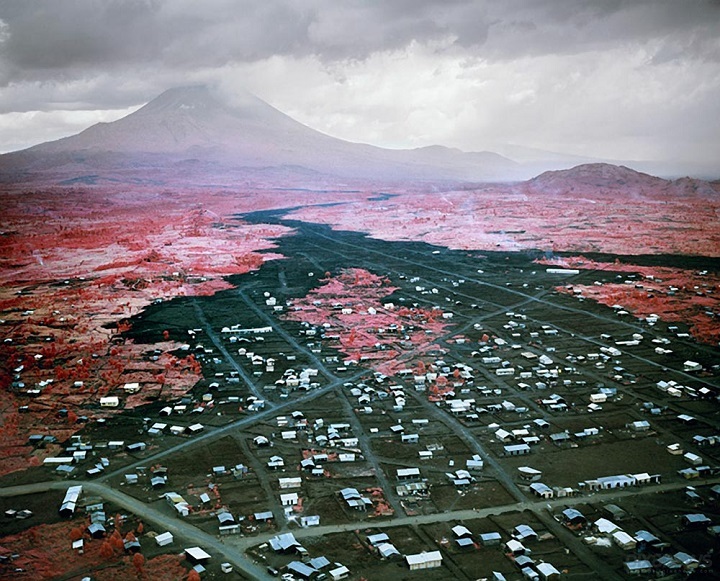 He is known for his highly aestheticized views of sites associated with fear and violence. 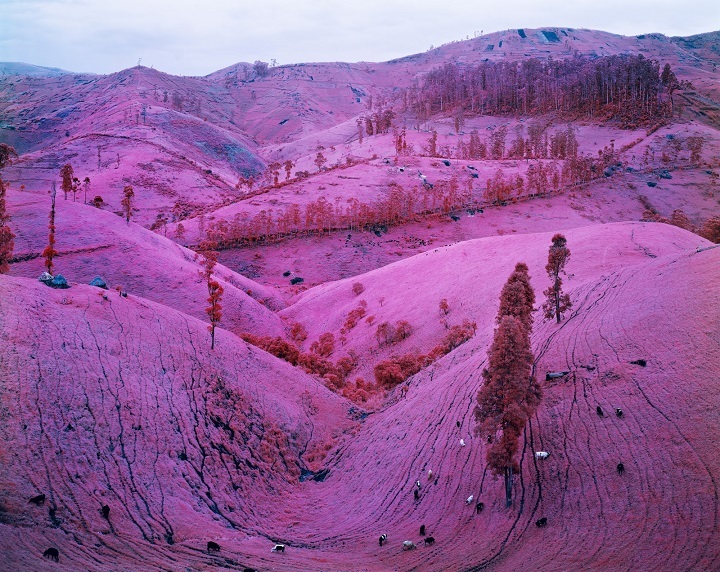 He used Kodak Aerochrome for his work in the Congo. 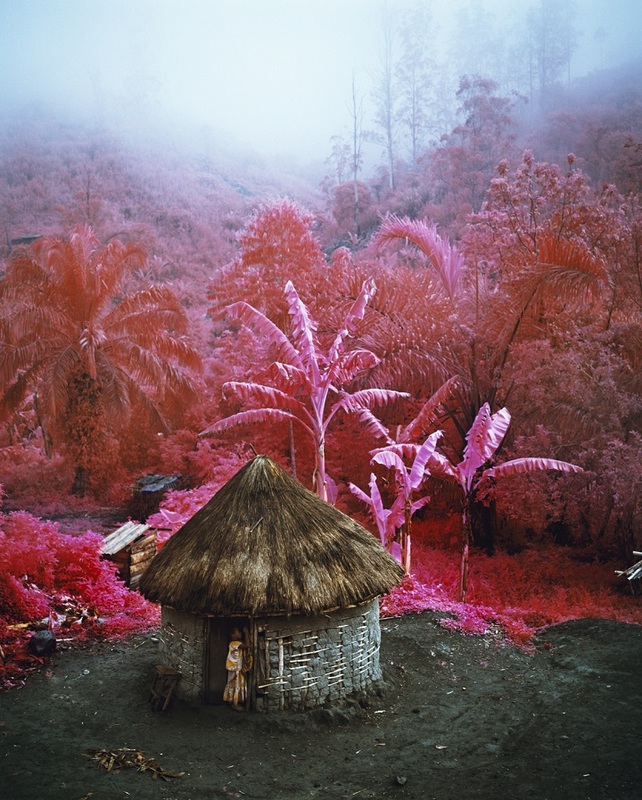 It is an infrared film designed in connection with the United States military to detect camouflage in the 1940s. 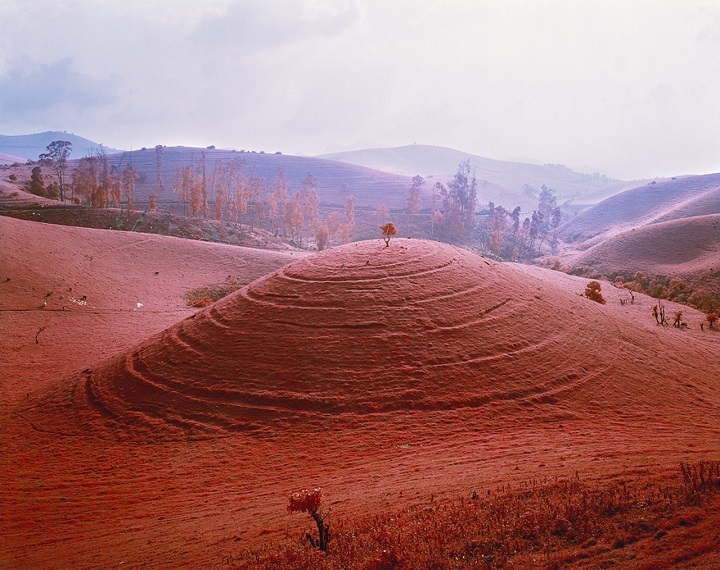 The film turned the lush landscape of the Congo into the arresting deep reds and crimson hues.